Helpful information for organizing your trip to South America: Wildlife checklists, trip reports, books and site information. 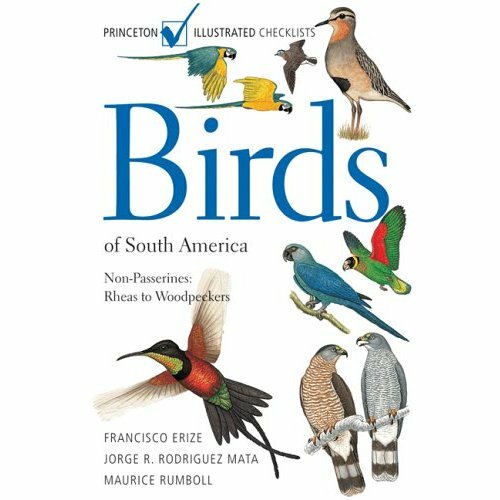 The first field guide to illustrate every species of bird found in Argentina, Chile, Bolivia, Paraguay, southern Brazil and Uruguay. 1140 species are illustrated in colour and appear on pages opposite the text for quick and easy reference. The plates will facilitate the identification of males, females, and juveniles, and are complemented by distribution maps. The text details the kind of habitat the birds are found in, key identification features and notes on the songs and calls of each species. 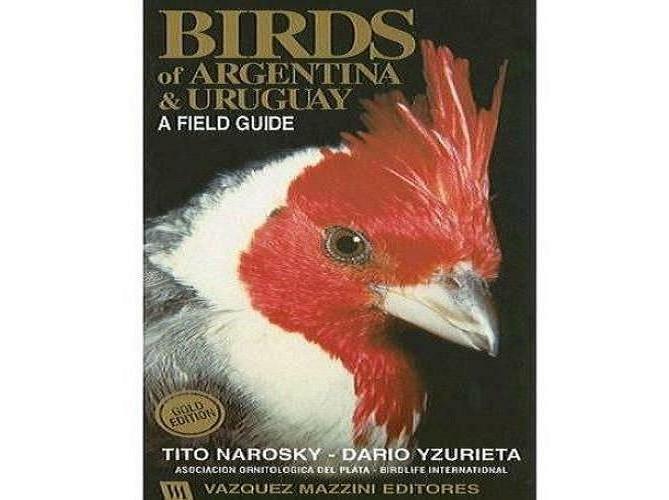 Narosky, T & Izurieta, D.
Covers all known Argentine and Uruguayan species, a total of 975 species. These also represent 94% of those in Rio Grande do Sul, Brazil, 95% in Paraguay, 52% in Bolivia, and 85% in Chile. Species accounts with brief identification hints, distribution maps and colour illustrations. Sebastian K Herzog et al. This is the first illustrated field guide for Bolivia, notably different subspecies, males and females, and colour morphs are illustrated. On facing pages, the guide features brief texts for field identification as well as detailed range maps with locality records. 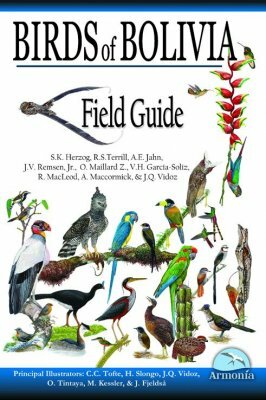 Short, concise introductory chapters include general information on Bolivian birds and their conservation as well as hints on where to watch and how to identify birds in Bolivia. The most complete and updated checklist of the Birds recorded in Argentina. This comprehensive and meticulously researched work brings together a wealth of information, combining extensive recent data with a re-evaluation of the historical literature and a re-examination of critical museum specimens, thus providing a complete update on the status of the Argentine avifauna. The list also covers the Argentine Atlantic Territory and the South Atlantic islands. 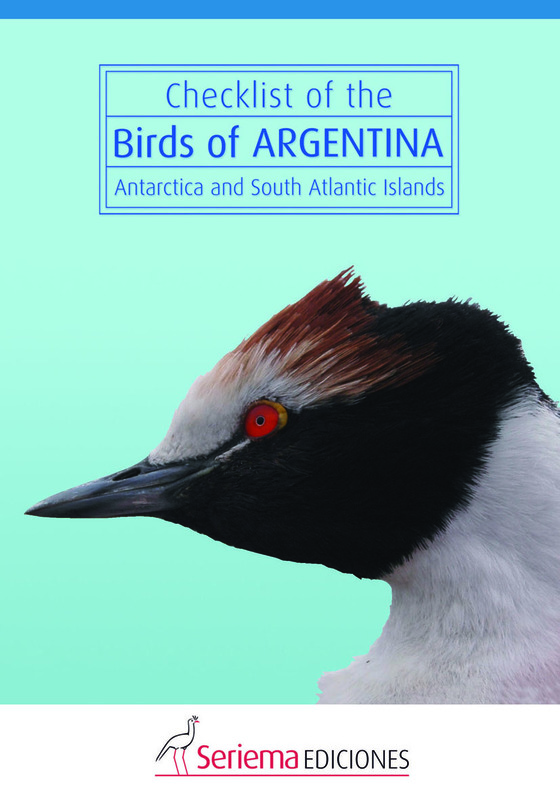 All information is summarised with brief, cross-referenced species texts, and thus the Annotated Checklist of the Birds of Argentina doubles as a field aid and a definitive reference work, useful for both the travelling birder and likewise the dedicated ornithologist, in a single handy volume. Rarely does a field guide of this caliber debut as its country's first. 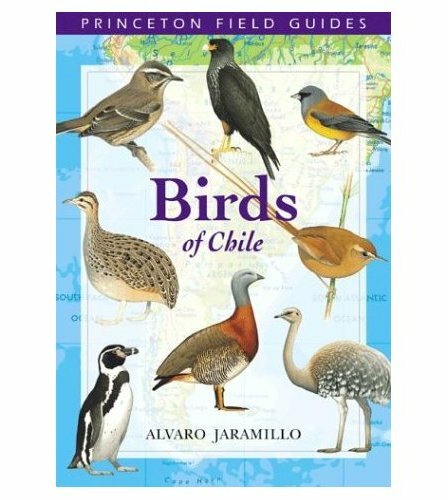 Birds of Chile offers not just perfect field-portability, beautiful and accurate artwork with facing text, and clarity and conciseness throughout: it presents genuinely new scholarship on the field identification of several cryptic and difficult groups, as well as on the modern geographic distribution of Chile's birds. Those who bird Chile will find the combined brilliance of Jaramillo, Burke, and Beadle indispensable in the field and by the fireside. Ned Brinkley, Editor, "North American Birds"
Here in an easy-to-use format is the first guide to the nearly 1,300 species of non-passerine South American birds. It complements Robert Ridgly and Guy Tudor's large reference volumes on the passerines (1,800 species), which will soon be available in a single-volume field guide format. One of things that makes this book special is its use of masterful and alluring illustrations; most neotropical birders will want the book for the illustrations alone. The text concentrates on the key identification features of each species and follows the layout of other books in this series. The book may be used in conjunction with regional and country field guides. This is a useful tool for preparing your trip to Argentina and to use it while traveling. It lists 1023 species recorded in the region, using the latest taxonomical updates and recent additions to the region's list. * Itinerary log for dates, locations and notes.